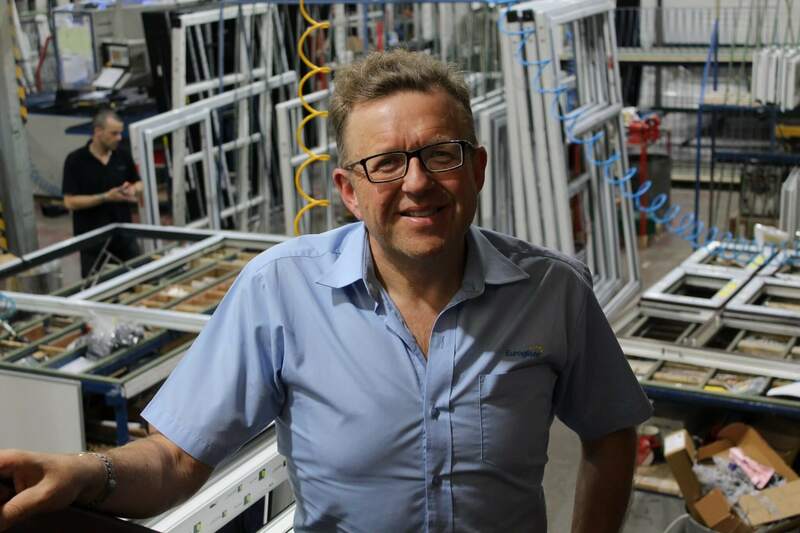 A growing Barnsley company which manufactures windows and doors is celebrating a record-breaking month for sales as its income for May tops £500,000. Euroglaze Ltd has seen rising demand for its bespoke windows, doors and conservatories, fabricated at its Carlton workshops and supplied to double glazing companies, commercial installers and trade counters across the UK. The bumper month of May follows month-on-month growth of between seven and 11 per cent and means the business anticipates hitting a £5 million turnover for the first time this year. Euroglaze managing director Martin Nettleton puts growth down to a resurgence in the house-building market and also his company’s investment in innovative technology and the latest lean manufacturing techniques. Martin said: “The up-turn in the construction industry has been very welcome after some tough years. And, on top of that, we feel really proud that we’ve got ourselves in to a strong position and ready to respond speedily to rising demand in the market – and to grow with it. Enterprising Barnsley, the business development and support arm of Barnsley Council, has helped Euroglaze increase productivity through modernising its manufacturing, customer service and logistics processes. The company has invested £30,000 over the last 18 months in touch-screen stock control systems and other digital technology to manage, monitor and track the movement of products through its factory. It has worked with Enterprising Barnsley’s business coaches to put these systems in place and support workforce development and training. Euroglaze now produces around 900 frames a week with the capacity to increase that to 1,500. It employs a workforce of 54, with plans to create 14 new jobs over the next two years. The company, established in 1979, achieved a turnover of £4.4 million last year and anticipates hitting £5m in this financial year, ending November 30 2016. Enterprising Barnsley business development manager Angela Pedley said: “We’ve been delighted to work with Martin and the team at Euroglaze and it is remarkable what they’ve achieved. It is a perfect example of an established company not standing still and relying on existing trade, but taking the opportunity of a slow-down in the market to develop new and better ways of working. Euroglaze supplies trade customers as far afield as Newcastle, the Isle of Man and Folkstone in Kent. They include Truemans of Sheffield and Ambassador Windows of Skegness which specialises in installing double glazing in static caravans. The company even supplies one double glazing customer in Melbourne, Australia, to whom they ship half a dozen containers a year in a deal worth about £90,000 per annum. Photograph shows Martin Nettleton, MD of Euroglaze.